All property owners need to protect themselves from the liabilities that are inherent with property ownership. The need for full liability coverage is even more pronounced when you’re an investor. You may not be on the premises on a frequent basis, but you’re still responsible for keeping it safe for any and all. A limited liability corporation (LLC) works for smaller investors and is a type of corporation. Even though you can complete the paperwork to form a corporation using downloadable forms, and filing them with the state, you’re better off spending the money to hire a lawyer. A lawyer will walk you through the legal and tax implications of owning a corporation. Ignorance is no excuse, so spending the money upfront to make sure the filing is done correctly and you know precisely what your duties and responsibilities are will help you from the start. Corporations are legal entities and corporate law and taxation are specialized branches of the law. Considering what you have at risk, being protected on all fronts will protect your personal assets. When you own a property as an individual, any of your personal assets could be used to settle a lawsuit regardless of the cause. The IRS and the courts take a dim view of co-mingling your corporate money in personal bank accounts. In fact, not having a separate checking account for your properties could invalidate your corporate status should you ever be a defendant in a lawsuit filed against you for a property claim. This legal strategy is called “veil piercing.” If you combine your personal and corporate checking in one account, don’t file the annual paperwork your state requires for the corporation, or are undercapitalized, the plaintiff’s lawyer can successfully argue that you should be personally liable, not your corporation. Don’t skimp when it comes to insuring the property, especially if it has a swimming pool. While your insurance agent will have good recommendations, get advice from your property manager as well. 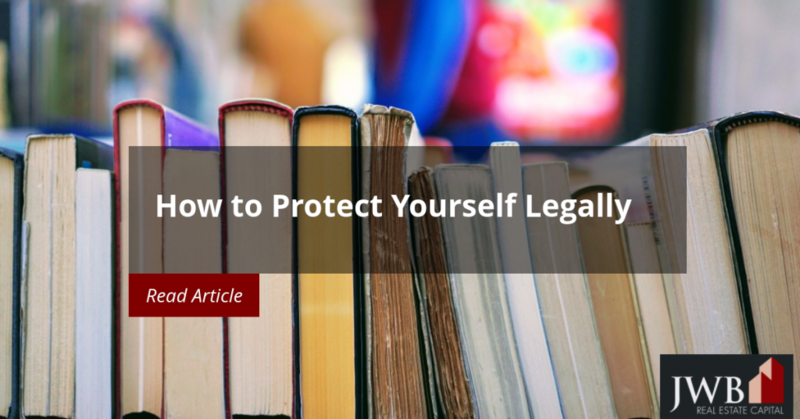 They’re on the front lines of the issues that prompt lawsuits, and can discuss where your property vulnerabilities lie and how best to protect yourself from liabilities. Never neglect the appliances in the home for which you’re responsible and issues in the yard that could cause harm to others. In Florida, judges decide whether a lawsuit is legitimate or frivolous and will let a lawsuit move forward based on the findings. Be sure that you take action on the tenants’ requests for service or maintenance promptly and keep the appliances in safe working order. Water heaters, clothes dryers and HVAC systems are the most likely to cause personal or property harm to others. Have them maintained annually by licensed professionals, and keep a permanent record of the date, the contractor’s name or agent, and the work performed. Wiring problems can also be serious, and if there’s any doubt about the home’s electrical wiring or circuit breaker box, have it checked out by a licensed electrician. Nice as they are, water features like pools, spas and fountains open the door to accidents and liability. Make sure that pool fencing meets the state’s requirements and tenants don’t disable the gate locks, even if they don’t have children. Even if you have just one rental property, it’s imperative that you seek legal counsel from a law professional, take steps to protect yourself legally by setting up a LLC, and follow through with all the requirements of the law. Also, be sure your liability insurance will cover you adequately. Lawsuits are costly and not definitely not worth the risk.